The Forward will hold its Anniversary Gala on Monday, November 13, at the Museum of Jewish Heritage, celebrating 120 years of groundbreaking news coverage. 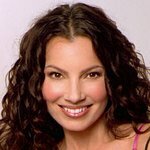 The celebration will feature award-winning actress and activist Fran Drescher as Emcee, alongside honorees Ben Smith, Andrea Mitchell and Forward Association President Sam Norich. The Forward has raised over $1 million dollars ahead of Monday’s event to fund its award-winning, independent journalism at a time it is most needed. The Gala will kick off with a cocktail hour, followed by musical acts Michael Winograd, virtuoso klezmer clarinetist and his band, and esteemed singer, songwriter and actor Daniel Kahn. “I’ve always been proud of my Jewish American upbringing in Queens, New York. Celebrating 120 years of the Forward, and their accomplishments, gives me so much naches!” said Fran Drescher. Founded in 1897 as a Yiddish-language daily, the Forward has evolved into a digital-first publication with daily online reporting on Jewish news, opinion and culture, alongside an in-depth monthly magazine in both English and Yiddish. The Forward’s perspective on world and national news, and its unparalleled reporting on the Jewish perspective in modern America, have made it the most influential nationwide Jewish media outlet today. Forward.com reaches more than 1.8 million average monthly users. The Forward has won numerous awards since its creation, including repeated recognition by the Society of Professional Journalists for its timely reporting and balanced commentary on politics, arts and culture.